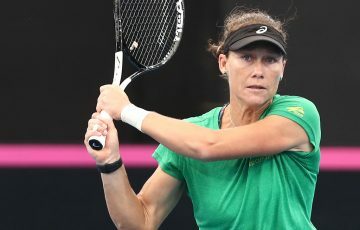 Australia's Matthew Ebden has fallen in straight sets to second seed Kei Nishikori at the Brisbane International tennis tournament on Wednesday. Australia’s Matthew Ebden has fallen in straight sets to second seed Kei Nishikori at the Brisbane International tennis tournament on Wednesday. A day after the South African-born West Australian won his opening round match against American Alex Kuznetsov, Ebden had no answer against Nishikori as the Japanese raced to a 6-2 6-4 victory at Pat Rafter Arena. 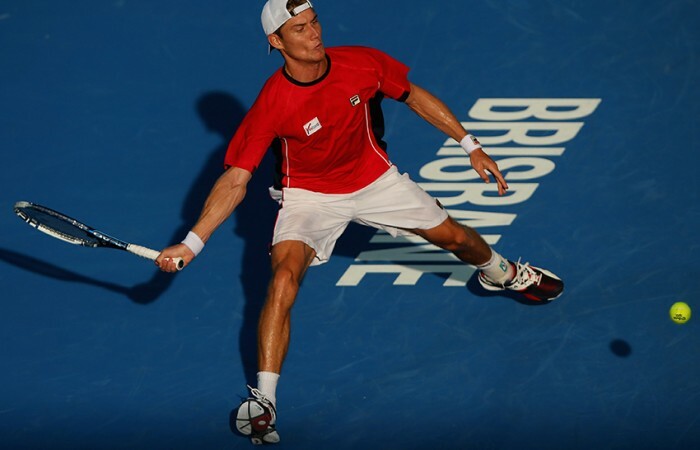 Ebden dropped his serve twice in the opening set as Nishikori took the lead in just 27 minutes. 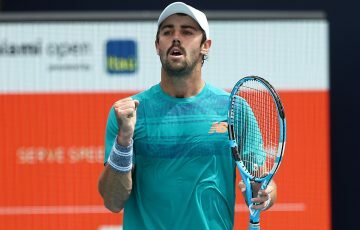 While the 26-year-old gave more of a contest in the second set, when Nishikori snared the break in the seventh game there was nothing the Australian could do to avoid defeat as Nishikori wrapped up the win in an hour. Nishikori will now meet Marin Cilic in the quarterfinals after he defeated fifth seed Grigor Dimitrov of Bulgaria 7-5 7-5. The Croatian, playing his second tournament since returning from a four-month doping ban, defeated Dimitrov, a former finalist in Brisbane. 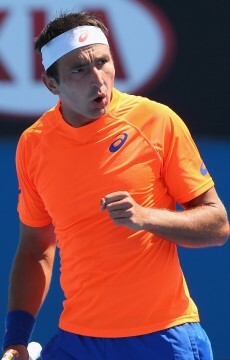 Earlier, Marinko Matosevic guaranteed at least one Australian in the last eight when he defeated American Sam Querry 5-7 7-6(3) 6-4. 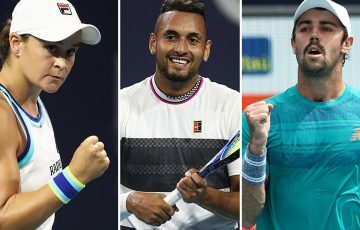 The world No.61 will meet the winner of Wednesday night’s clash between 17-time major winner Roger Federer and Finland’s Jarkko Nieminen. Matosevic’s win means he goes into the quarters with back-to-back wins in Brisbane after arriving in Queensland with a 0-9 record in main draw matches in Australia. After overcoming a shoulder injury that cut short his 2013 season in October, Matosevic appears to be putting his game together ahead of this month’s Australian Open.